Two black spiders in a lime green Spider web iron on applique. 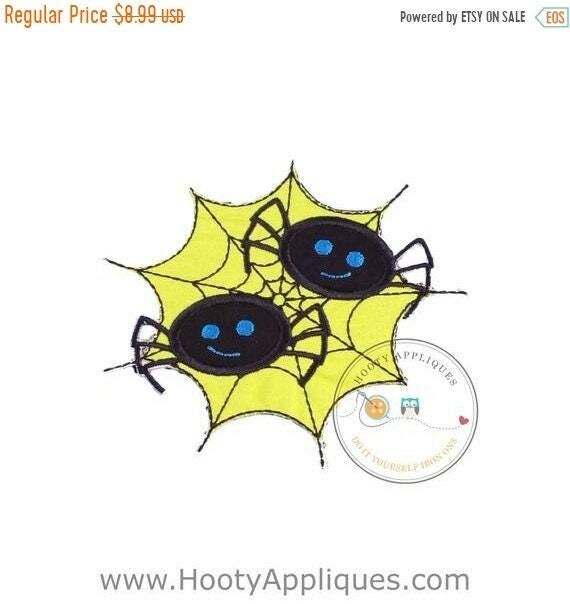 Halloween Spider applique for both boys and girls. ►	This iron on patch measures 5.25 inches wide by 5.25 inches tall. expenses.We are liquidating our current stock, therefore, we are no longer offering color/fabric changes or personalization. Patch will come as pictured.